We woke up early to sit with the family whilst they opened their presents. 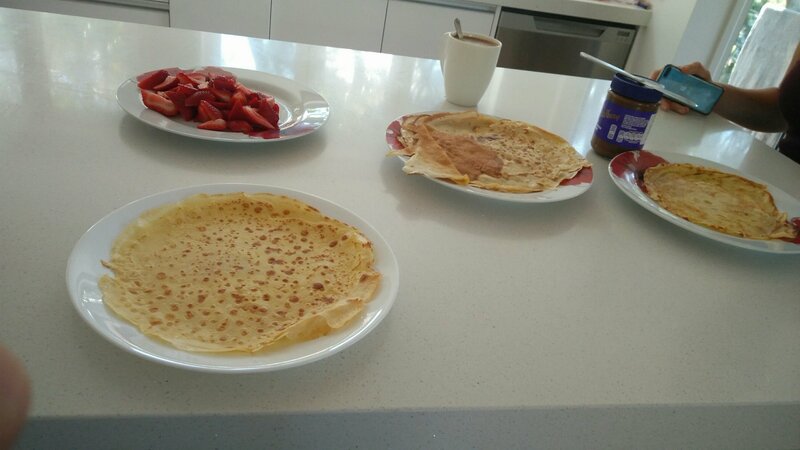 Once they opened their presents, we had a FaceTime with Kim’s family and then Kim made crepes and we had them with chocolate spread and strawberries. 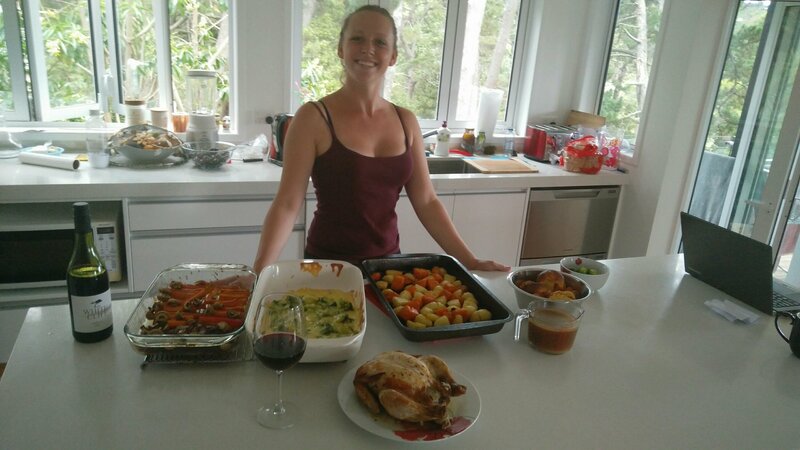 For the rest of the day, we just chilled and watched TV and chilled out and then Kim made a big Christmas dinner! 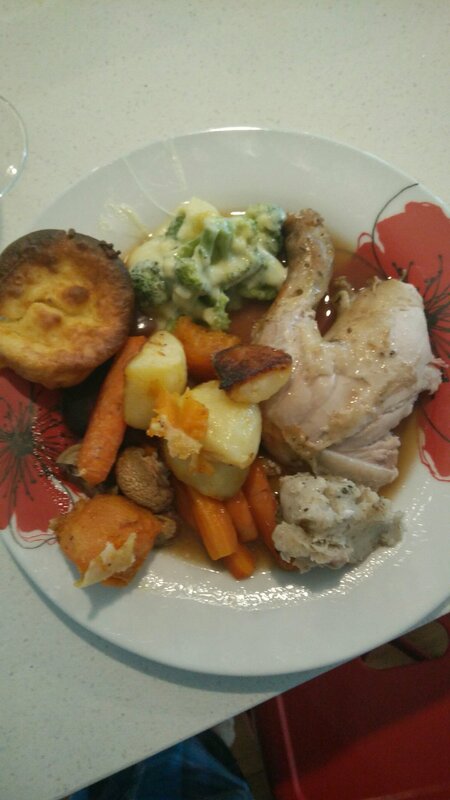 There was cheesy broccoli, carrots, onion, stuffed roast chicken, Yorkshire puddings and potatoes. We then sat around chatting whilst drinking wine and chilling out.